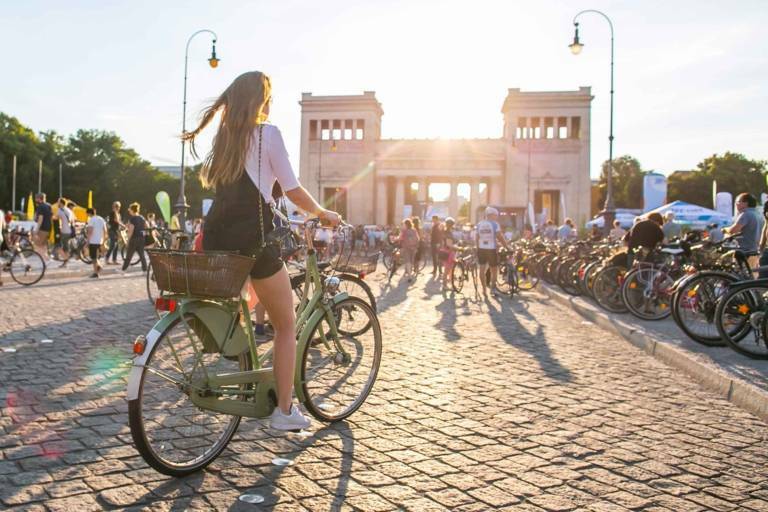 A relaxed cycling tour with one short, steep incline - and with lots of sights on the way. 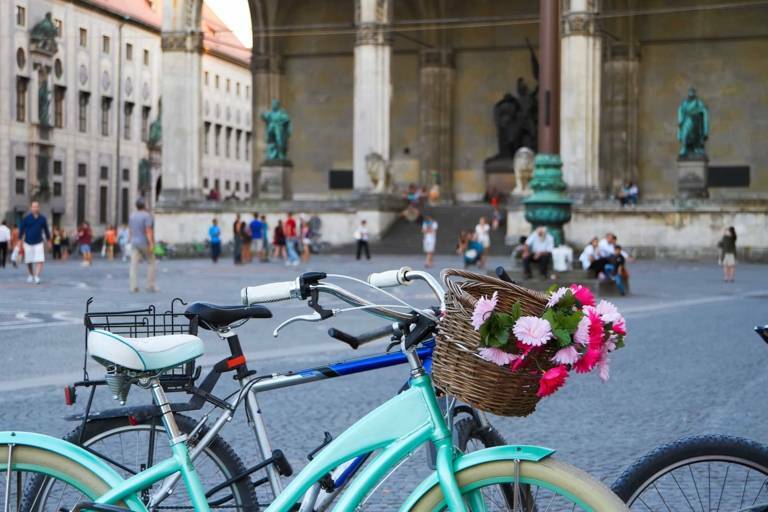 Cycling tour taking in Munich city centre attractions: Old town, Englischer Garten, Isar upriver, Deutsches Museum, Isartor, Alter Hof and back to Marienplatz. From the centre of the old town to the Kunstareal art district, and on to the former summer residence of the Wittelsbach family, to the Olympic Park and back across Leopoldstraße. Relaxing bike tour along the Isar to the "Aumeister" beer garden and back to Marienplatz via the English Garden. Enjoy discovering the English Garden by bike! Mountain bikers love narrow paths that make for a very special flow experience. 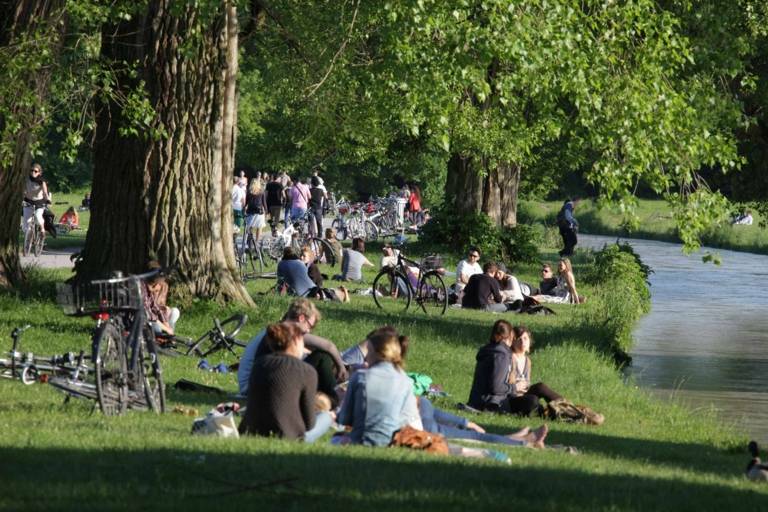 The banks of the Isar in the south of Munich are perfect!